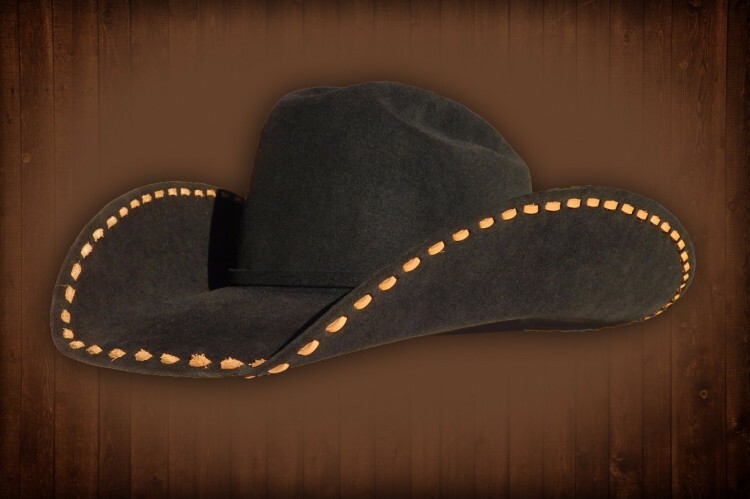 If you are in Arizona and are looking for an American Handmade Custom Cowboy Hat, Hallys Custom Hats is the place you need, with 25+ years of experience, Hallys shop is in the north valley near Cave Creek, Arizona. If you're looking for a new custom cowboy hat fitted just for you, or need an Old Cowboy Hat Restored Hally does it all. Hally makes custom hats from scratch with you in mind. Hally can make anything from 7x to 200x cowboy hats. Shaping, blocking, and cleaning services are always available as well. If you're in Arizona and need a hat think Hallys Custom Hats. Click on Hat Images to view more photos. We will be adding more hat styles and images soon for each style of hat. Click HERE to See the Custom Hat Process​! 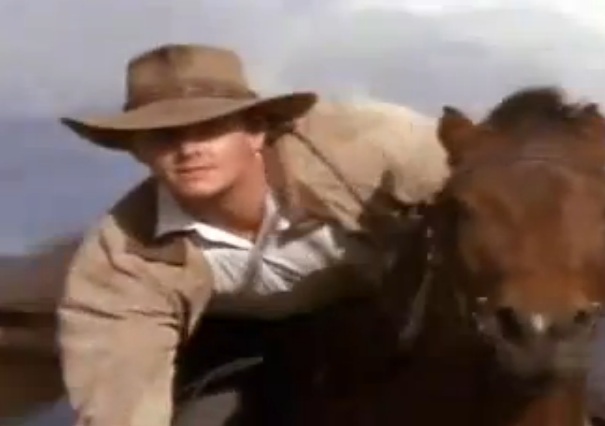 A beautiful, stylish hat seen in western pleasure classes across the country. 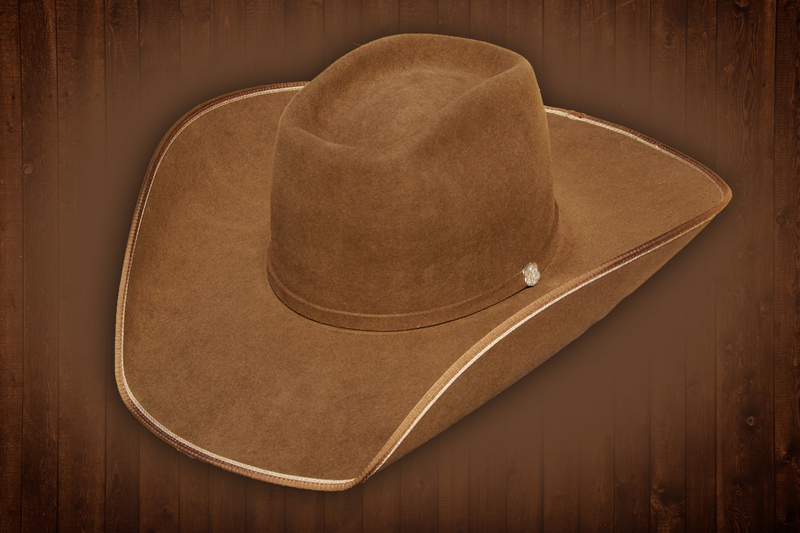 Slide down the show ring in this Classic reiner style hat. 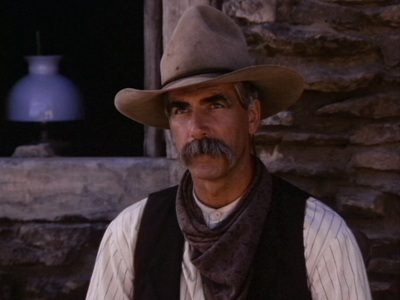 The hat made famous by Augustus McCrae (Robert Duvall) in Lonesome Dove. 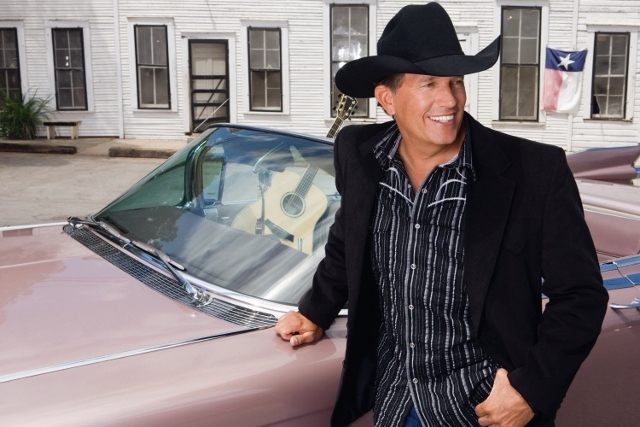 Same style hat worn by George Strait for many years. McClintock. We can make it with or without trail dust. 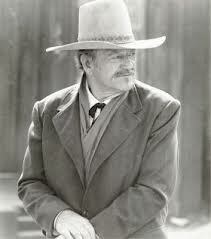 Same style hat worn by John Wayne in the movie True Grit. 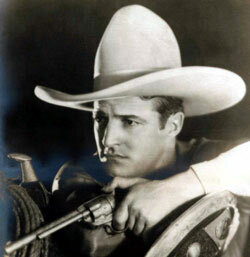 Same style hat worn by the legendary Tom Mix. 3 1/2 inch brim with bone and concho band. 4 inch brim with pencil curl. Also has bone and concho band. 4 1/2 inch reverse pencil curl brim with whiskey lacing, and beaded hat band. Colors like; Black, Saddle & Green are also available (images can be sent to you upon request). Gain ground in the show ring with this show stopper. Each stone is sewn on not glued. 4 inch pencil curl brim, 3 3/4" finished front, 4 ligne binding, also has hitched horse hair hat band. 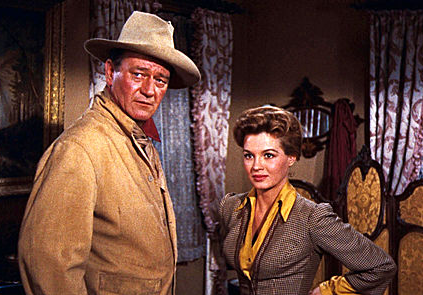 Same style hat worn by John Wayne in the movie Rio Bravo. We can make it with or without the trail dust. 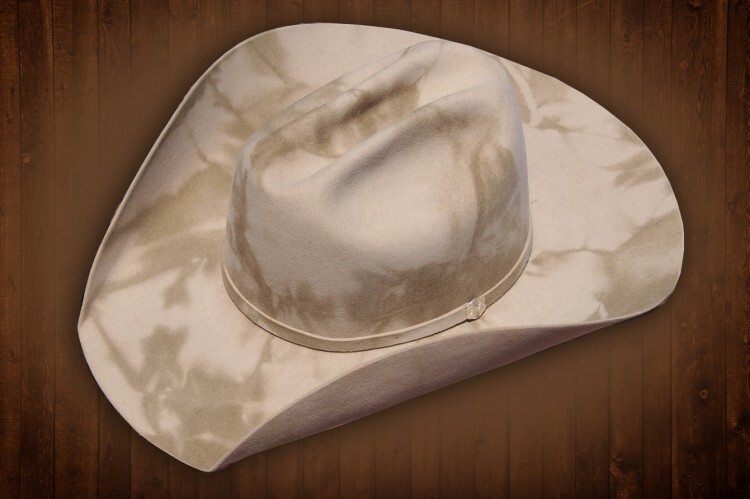 Keep your head cool with a Palmleaf Cowboy Hat. Professional, Clean, & Sharp. Take care of business in your Bone Cattleman Hat. Softer look than the Bone Cattleman, but still Professional, Clean, & Sharp. 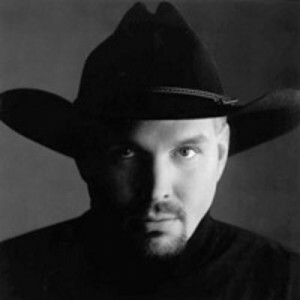 Same style hat worn by Garth Brooks. 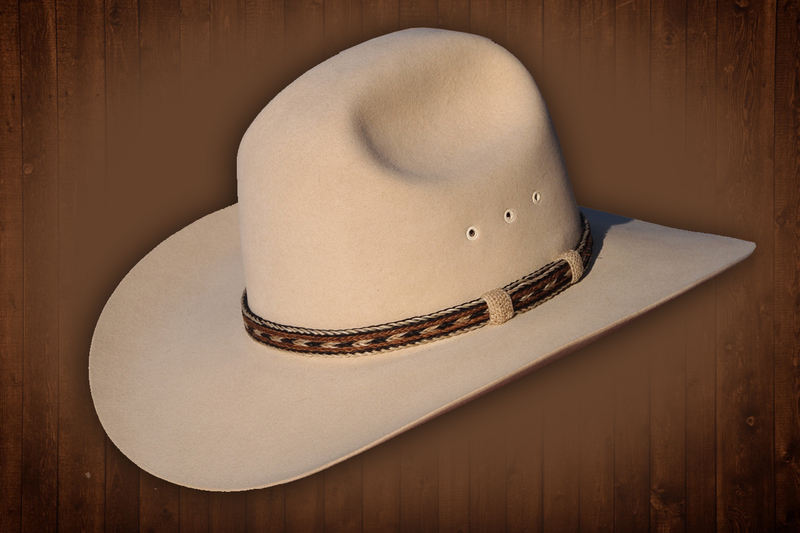 4 1/2 inch saddle colored brim with hand rolls & 4 ligne binding. Horse hair hat band & leather stampede strings. 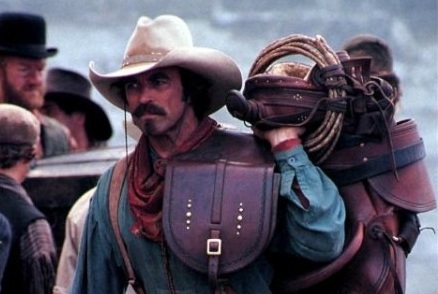 Same style hat worn by Tom Selleck in the movie Quigley Down Under. 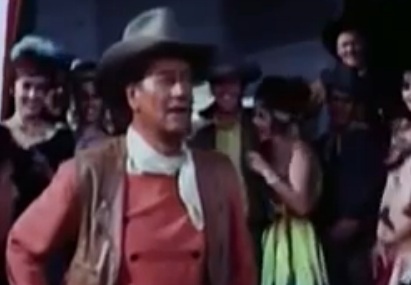 The same style hat worn by James Caan in the 1966 movie "El Dorado." Felt short brimmed hat with a beaded hat band. Natural colored felt hat with your choice of hat band. 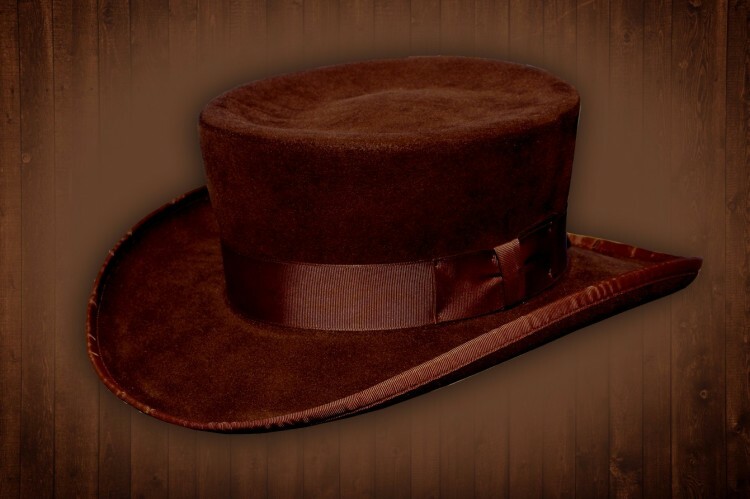 The flat hat worn by many buckaroos. 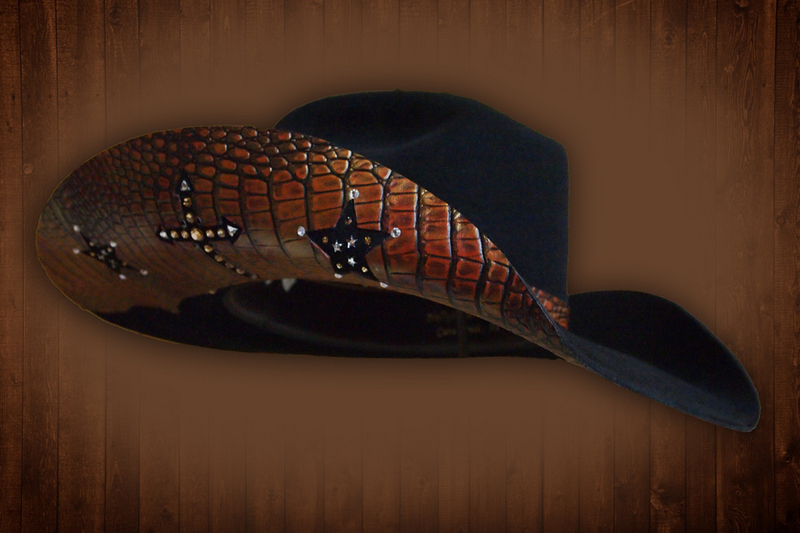 Barrel Racer hat with iridescent gator skin brim and hat band. Stars and crosses with rhinestones. 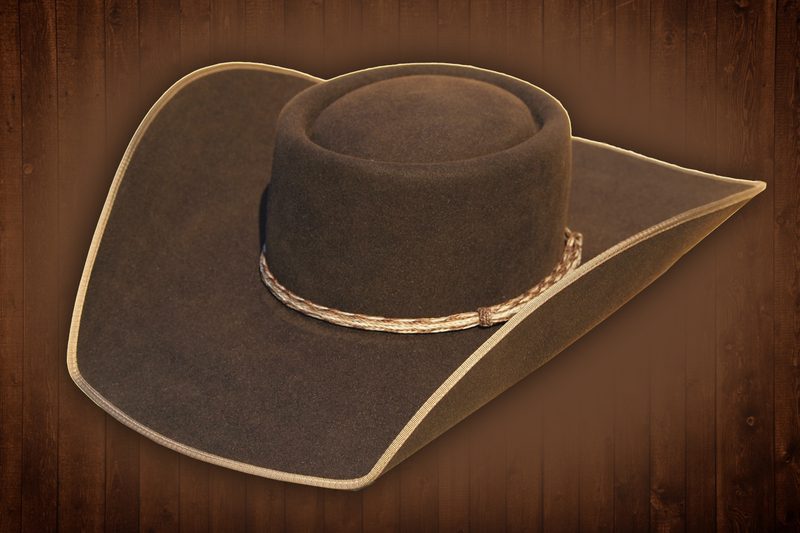 A classic old western style with a braided horse hair hat band. 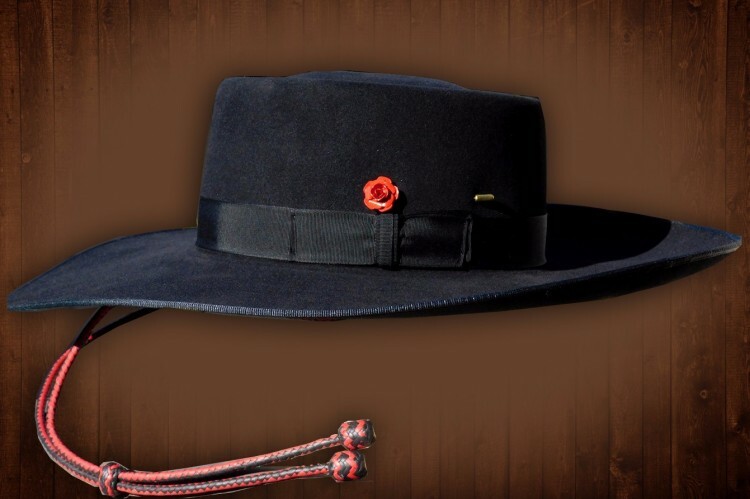 Black Felt Cowboy Hat with a Red Rose and Turquoise Crystals along the edge of the brim. 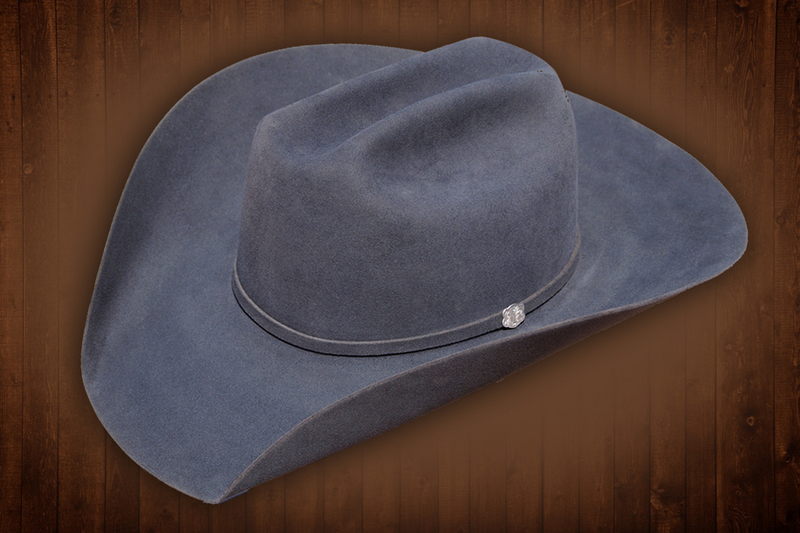 Stylish felt hat with a pencil curl brim and a wide beaded hat band that transitions into leather on the back. 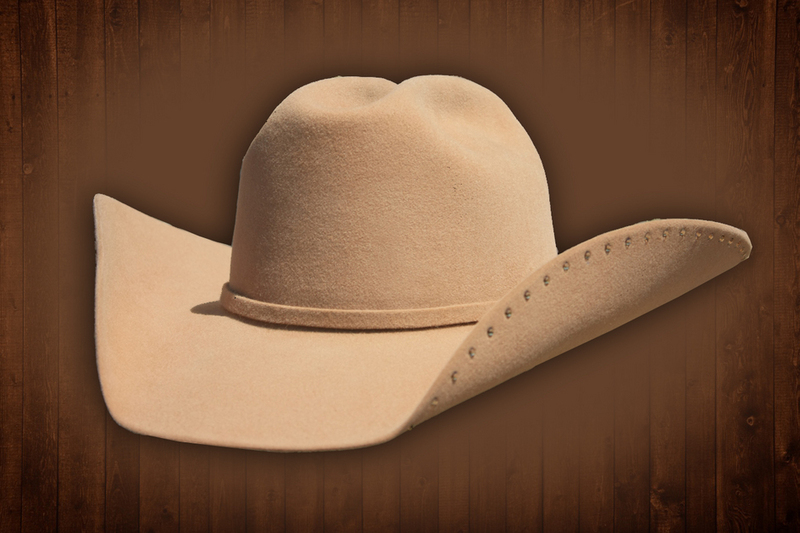 Camel Colored Felt Hat with slight shape and leather hat band. Chase Cans in this stylish felt hat. Your choice of bling or decorative design. Unique felt hat with a tall crown and leather design on the brim. 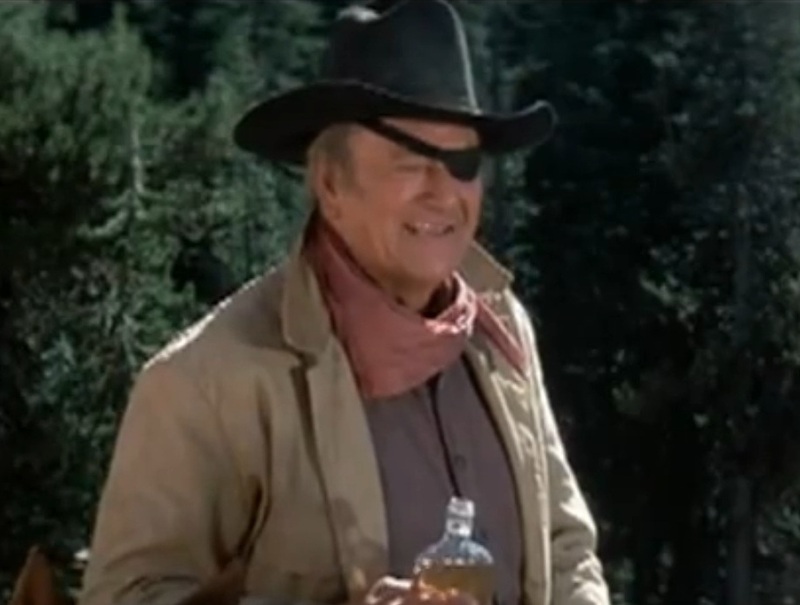 Same style hat worn by John Wayne in the movie The Shootist. 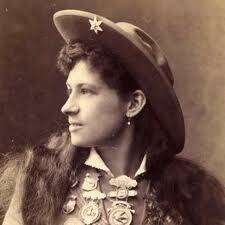 Same style hat worn by Annie Oakley. Triangle Rhinestones make this hat eye popping! Unique straw hat with a short crown and leather design on the brim. This is without a doubt a classy cowboy hat. The steel gray looks sharp on almost anyone. There's nothing like winning in style. 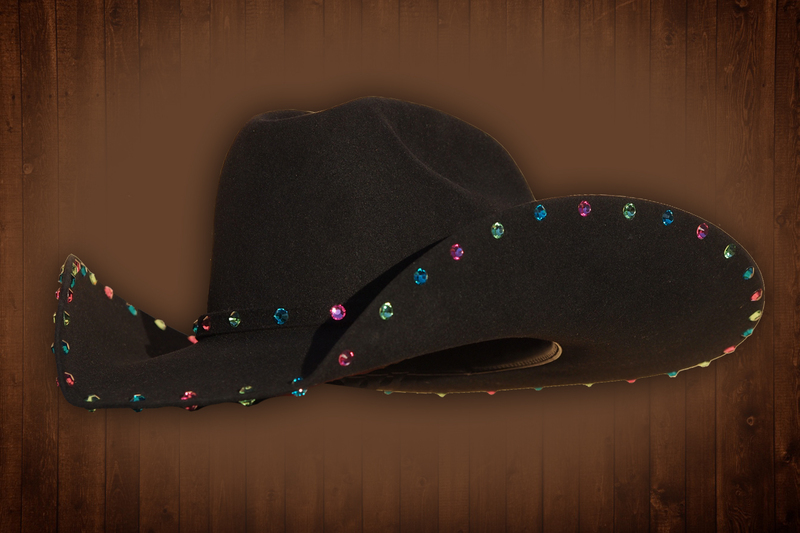 This hat takes bold to a new level with it's large encompassing colorful rhinestone crystals. This hat is a show stopper. The color is different, but different is good in this case. 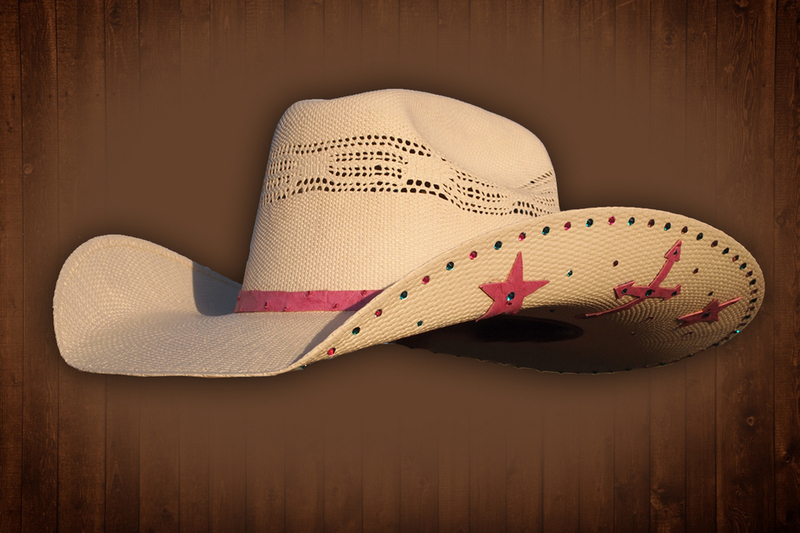 This is a very cute cowgirl hat with a hint of bling. 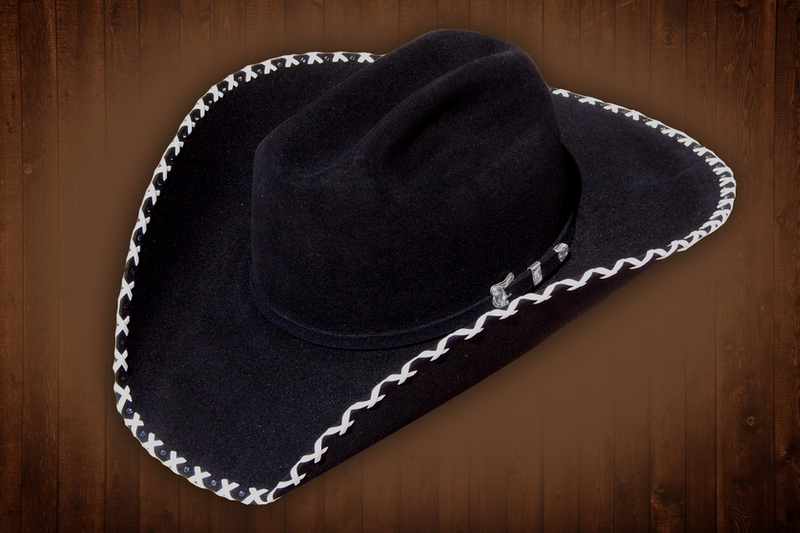 Black felt Cowboy Hat with a Southwestern Twist. Beautiful faux snake skin textured top brim. 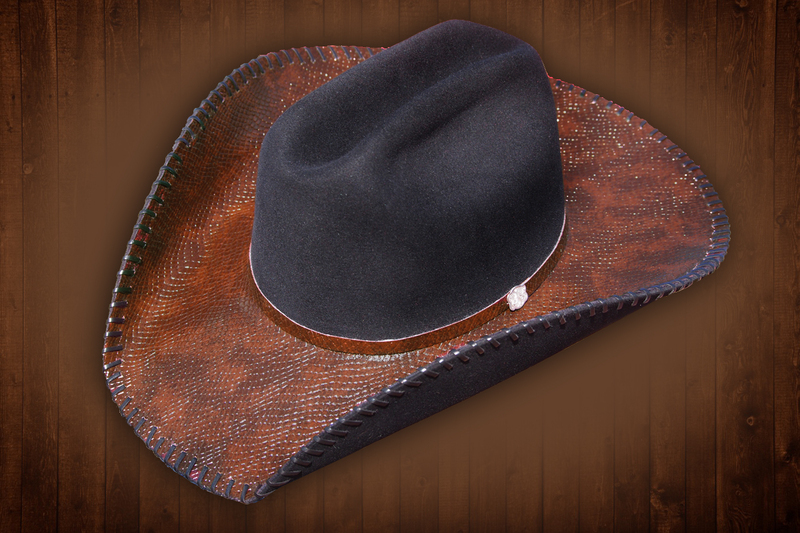 Natural felt Cowboy Hat with a beautiful faux leather paisley pattern bottom brim. Go up the aisle in Style with this sharp looking hat. If you are getting married soon, you can't go wrong with this style. As western as it gets! 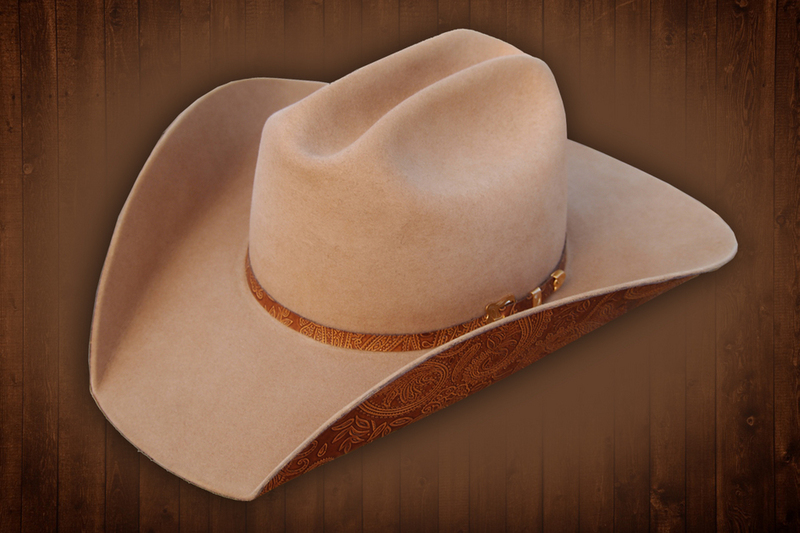 The Quigley hat shown above is in bone color, but can be any color you would like. Simple but professional looking hat with a braided horse hair hat band. 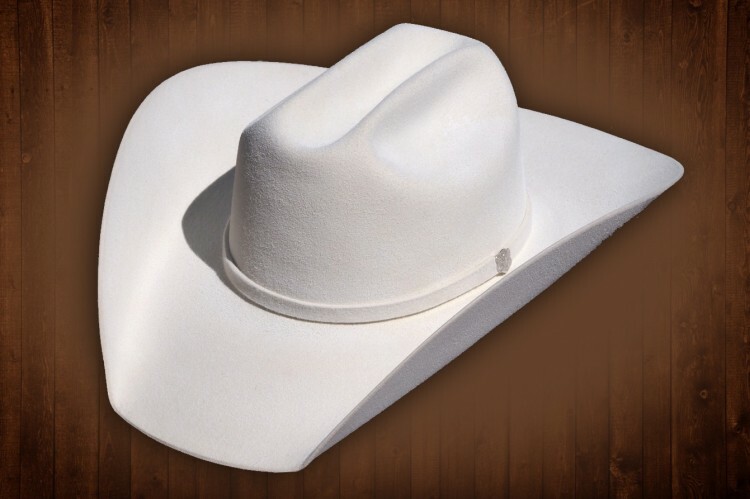 Classic and clean white show hat. Go down the fence in style! 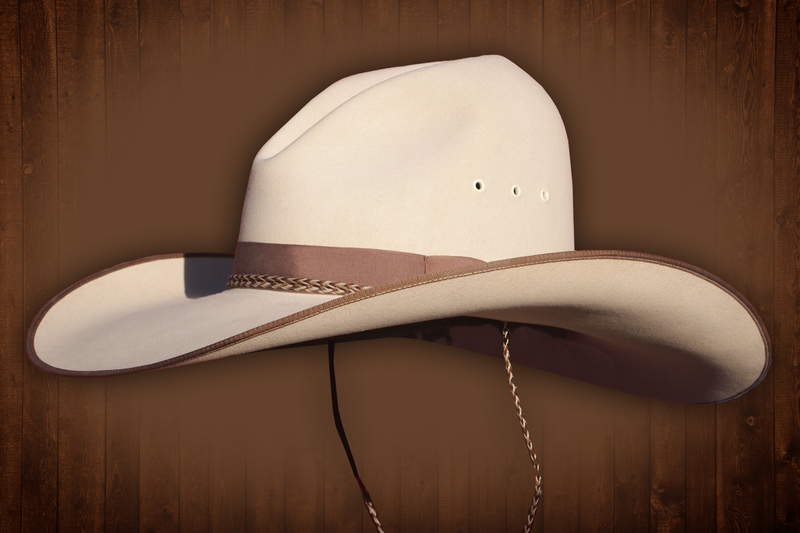 The Cow Horse Champ shown above is in saddle color, with multi- tone double binding. 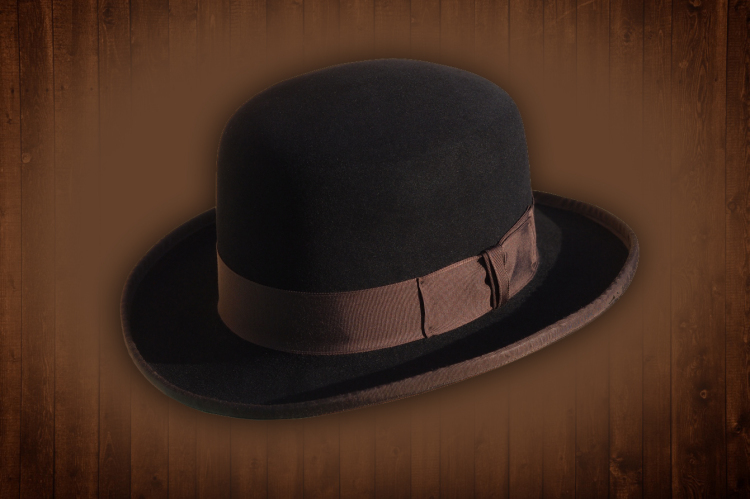 This hat is the same style of hat worn by Martin Delany in the TV Series Hell on Wheels. Unique Green Felt ladies hat. Put the sneak on one with this camo cowboy hat. 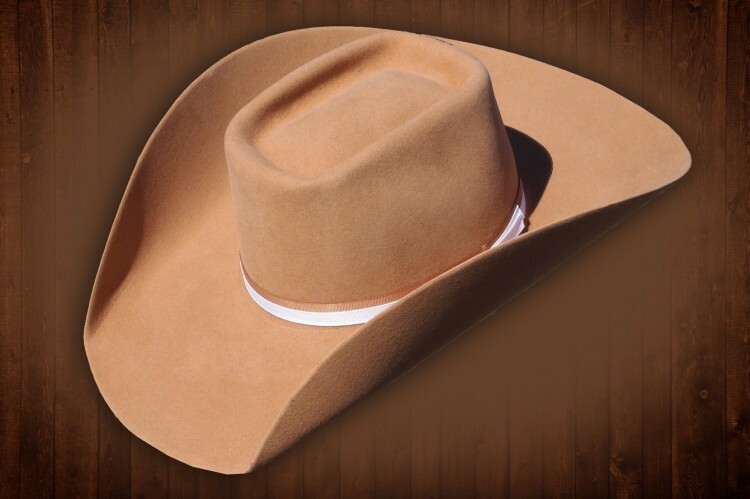 Camel colored cowboy hat with a white & camel colored band. 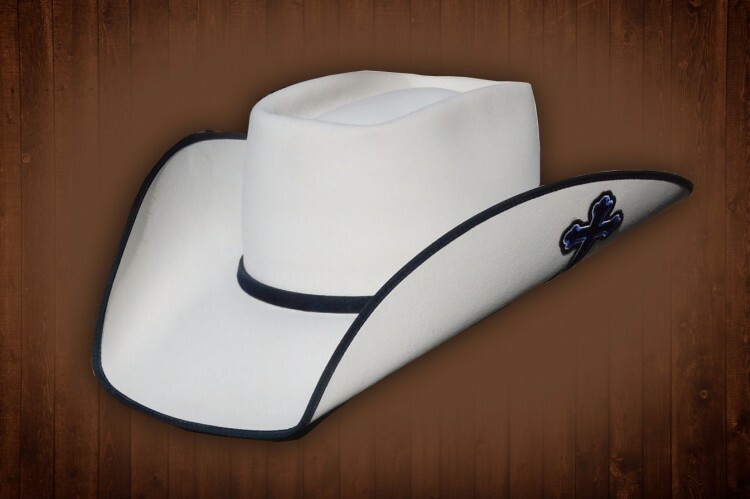 White cowboy hat with a blue cross on the brim, blue binding and band. 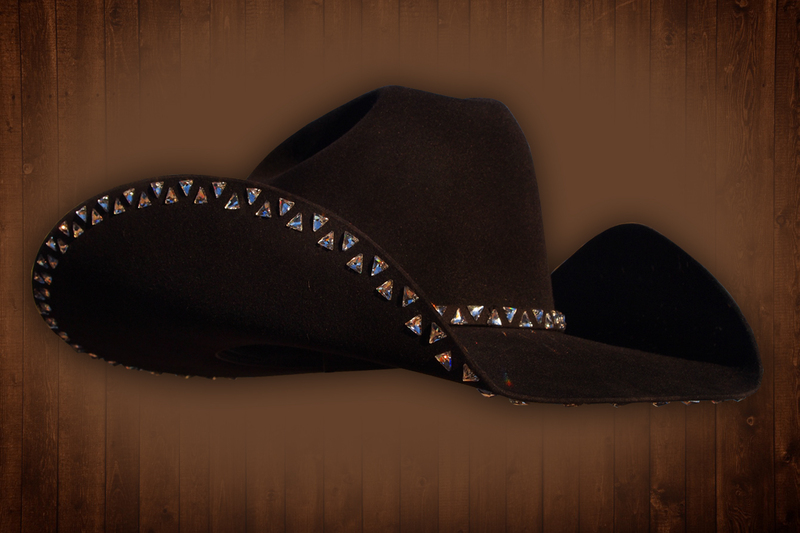 Black cowboy hat with leather buckstitch on the brim. 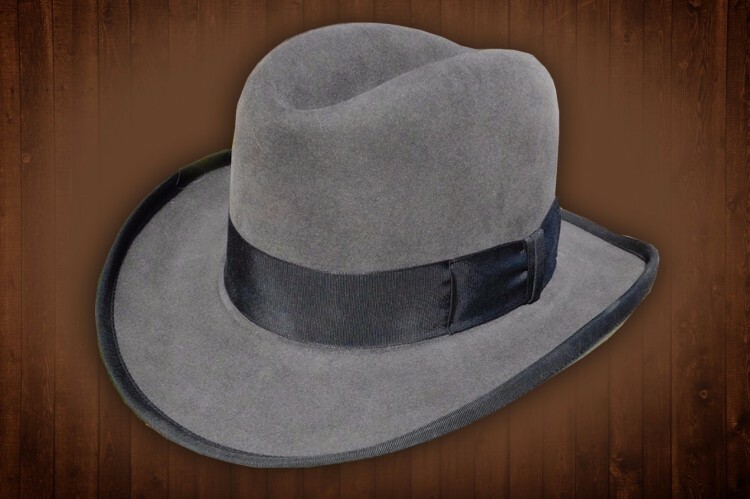 Very sharp Gray hat with thick black band and black binding similar to Dr. King Schultz in Django Unchained.